UH OH! Better Call Fast T's Mobile Battery Service! We also test the battery, and alternator at no extra cost! Is Fast T's the only Mobile Battery Service in town? No, we are not. Are all Automotive Battery Services created equally? No, they are not! Some of our competitors eagerly carry batteries on board their Service Trucks, but what they don't tell you is they are not completely prepared. 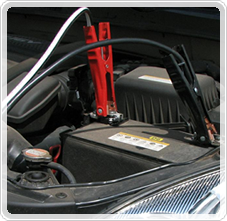 Fast T's Mobile Automotive Services is a BBB Accredited Mobile Battery Service. We stand behind our batteries, our installations, and our work! We offer a "Put Your Mind at Ease" Guarantee because we are your On Site Automotive Services Leader in West Des Moines and Waukee. At Fast T's our On Site Battery Technologies and capabilities, far surpasses most Mobile Battery Services, we take pride in providing World Class Customer Service with a Smile ! CALL NOW to schedule you appointment today! What if it's not the battery? No problem! Fast T's On Site Mechanical Experts can diagnose the problem, Test, & Replace the Alternator if needed! Voltage is the most important aspect of a car or truck battery, because that is exactly what your vehicle requires to operate correctly is 12 volts. Everything is powered by batteries these days, from your automobiles functions, and your car radio, to peripheral electronic devices such as cellular phones, GPS systems, and cameras. All of these electronically able devices are operated on 12 volts as well. This can add punishment, increase the draw on your battery, and decrease the life of automotive batteries significantly. It is more important than ever, to ensure that you have a properly trained battery technician specialist whom is well qualified, and has the correct training; therby fitting your vehicle with the correct battery for your intended use, or the manufacturers recommended battery for your vehicle. ​Some of the many battery problems that can cause a no crank condition in an automobile are, corroded or dirty battery terminals, bad wiring connections, broken or frayed wiring harness which can cause resistance and may be hazardous, corroded wiring harness, insufficient ground or untightened battery clamps, broken battery clamps, bad batteries, starter motor, ignition problems, and more. ​Although installing a battery is not a complex automotive repair, it is more important than ever, to ensure that your automotive battery is installed or replaced properly by a certified automobile battery technician. Batteries are an integral function, and play a vital role, to having a good starting engine; you can prevent engine no start, or motor no crank conditions all together, with a strong battery that load tests correctly for the cranking requirements of your car or truck motor. With Mobile Tire and Battery Services, Your Flat Tire, or Battery Problems will quickly find an Affordable Alternative, to taking it to a Tire Shop. We will bring Batteries, and Tires to You, and Install them Professionally; Providing Security, Comfort, and Mobility, with Always Affordable pricing. Our Auto Services in West des moines and waukee are Always the same low price of $50, We Are the "Home of the $ 50 service call!" 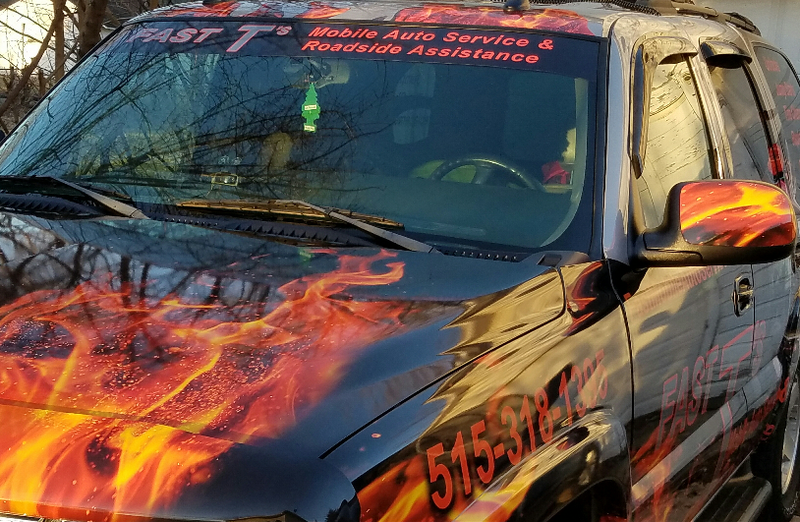 Have Fast T's Mobile Battery Service, Provide A Jumpstart To Your Day! CLICK TO FOR BATTERY SERVICE NOW! JUMPSTART YOUR BATTERY OR REPLACE IT! All Jumpstarts & Battery Replacements Include A Free Alternator Test. All Napa Legend Batteries Come With A 75 Month Replacement Warranty against defects on Your Battery. 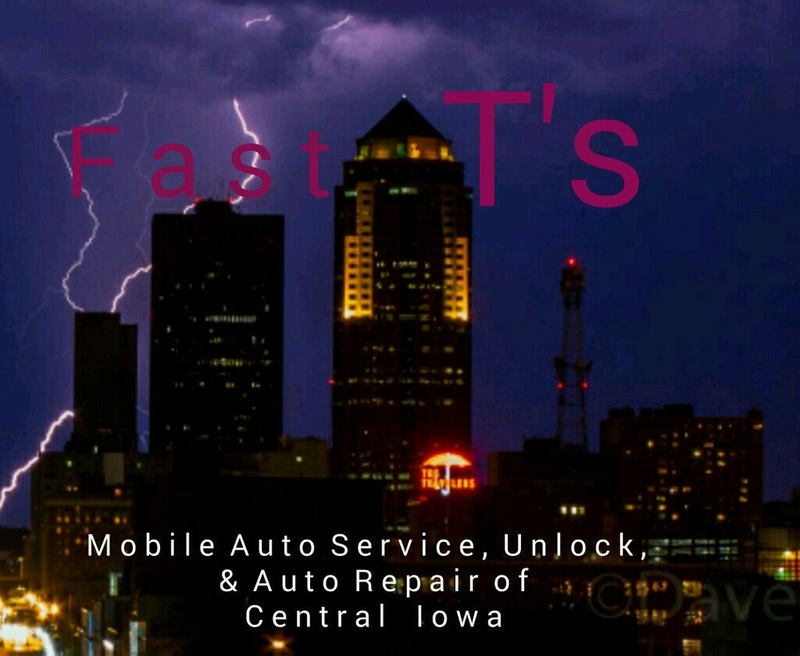 Fast T's Automotive Battery Service Of West Des Moines, IA Your Local Car & Truck Battery Experts, Will Quickly Respond To, & Assist With Your Dead Car or Truck Battery. Our Battery Jumpstart, & Replacement Service, Combined With Our Large Network Of Auto Parts Suppliers Means Your Battery Problem Is Solved, And You Will Soon Be Having A BETTER DAY! ​ In the West Des Moines, and Waukee area and Surrounding Communities In Central Iowa Including But Not Limited To~ Des Moines, Adel, Ankeny, Altoona, Pleasant Hill, Norwalk, Urbandale, Clive, Johnston, Grimes, Windsor Heights IA, Beaverdale IA, & MORE! 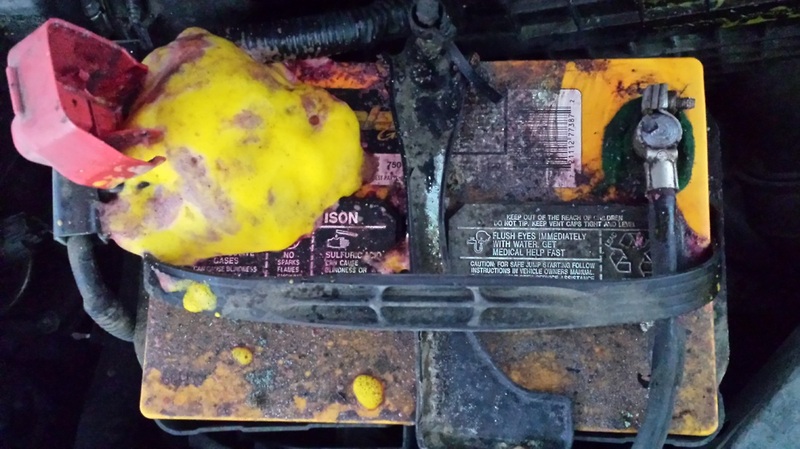 Why Does My Car Battery Go Bad? "What Causes Car Batteries to Fail?" "Driving habits rather than battery defect are often the cause of battery failure. A German manufacturer of luxury cars reveals that of 400 car batteries returned under warranty, 200 are working well and have no problem. Low charge and acid stratification are the most common causes of the apparent failure. The car manufacturer says that the problem is more common on large luxury cars offering power-hungry auxiliary options than on the more basic models. In Japan, battery failure is the largest complaint among new car owners. The average car is only driven 13 km (8 miles) per day and mostly in a congested city. As a result, the batteries will never get fully charged and sulfation occurs. The batteries in Japanese cars are small and only provide enough power to crank the engine and perform some rudimentary functions. North America may be shielded from these battery problems, in part because of long distance driving. Good battery performance is important because problems during the warranty period tarnish customer satisfaction. Any service requirement during that time is recorded and the number is published in trade magazines. This data is of great interest among prospective car buyers throughout the world. Battery malfunction is seldom caused by a factory defect; driving habits are the more common culprits. Heavy accessory power when driving short distance prevents a periodic fully saturated charge that is so important for the longevity of a lead acid battery. According to a leading European manufacturer of car batteries, factory defects amounts to less than 7 percent. A breakdown due to the battery remains the number one cause."